Hi, my name is Jen McLellan and a little over 6 years ago I found myself sitting in front of the computer feeling devastated. You see, I had just found out I was pregnant. Now, this should’ve been a time of celebration for me. Yet, as a fat woman I was flooded with misinformation online that lead me to doubt my body’s ability to have a healthy outcome for my baby and for myself. I read that I would not only develop complications, like gestational diabetes, but that I was also a horrible person for wanting to become a mother as a plus size woman. I wasn’t sure what to expect when expecting and I was working with an OB-GYN who was nice but didn’t spend a lot of time with me during my appointments. As my pregnancy progressed, I hired a doula and then switched to a midwife who had more belief in my body than I did. In fact, my midwife was the first care provider to ever touch my body in a compassionate manner. I remember telling her, “I read online that I’m going to have a big baby. Big girls have big babies!” She smiled and then replied, “That’s what your hips are for. You can birth a 10 pound baby!” She wasn’t telling me that I would have a big baby, but that if I did, my body was perfectly capable of doing what it’s designed to do. And you know what, I started to believe her! I actually started to believe that my body was pretty amazing. I ended up having a completely healthy pregnancy, thanks to being proactive with nutrition, physical activity and pulling together an outstanding support team. Along with having a healthy pregnancy, I gave birth naturally, on my knees and felt a level of strength and pride in my body that I had never experienced before! A few months after I settled into motherhood, I wanted to tell my story. I wanted to help change the conversation around plus size pregnancy. Most of the stories from plus size moms I had read online were bleak in comparison to my experience. I read heartbreaking stories of women being shamed by their care providers and feeling like they were forced into having interventions during their birth that they didn’t feel were necessary, including cesareans. If it wasn’t for my doula and midwife, I truly would’ve had a hard time believing that my body was capable of having the positive outcome that it did. I started a blog, Plus Size Mommy Memoirs, and Facebook page of the same name in April of 2011. Sure enough, I wasn’t the only fat woman to have a healthy pregnancy! Story after story was shared. Yet, those heart-wrenching stories also flowed in. Only this time, these women found a community to feel supported by! Fast-forward 5 years and I’m now a certified childbirth educator, public speaker, and passionate advocate for plus size women during pregnancy and postpartum. My website, Plus Size Birth, has received over 2 million hits and my Plus Size Mommy Memoirs Facebook page has become a community of over 177,000 women supporting one another before, during and after pregnancy. Over these past few years I’ve supported thousands of women and have spoken to hundreds of birth professionals. Yet with all of the headway I’ve made, I know the mistreatment of fat women during pregnancy is a very big issue that few people want to address. Therefore, I will continue to hit the pavement, speak at as many conferences as I can, and write as many articles as I can. Plus size doesn’t equal high risk. Just as people of all sizes can be healthy, people of all sizes can have low risk pregnancies. Your weight alone doesn’t automatically qualify you as having a high risk pregnancy. If your care provider tells you that then they are not a size friendly provider, I encourage you to seek out a new provider (consider looking into the midwifery model of care, as midwives tend to be more size friendly). There was a study done a few years ago that showed second time plus size moms lacking any underlying health conditions (like pre-existing diabetes or high blood pressure) actually have a lower risk profile than first time moms. As we all know, this isn’t a study the media picked up, but it’s certainly worth knowing about. Please also listen to me when I say that even if you do develop complications, you shouldn’t feel ashamed. Your body is growing life within it, and that’s amazing! You deserve to be treated with dignity! I’m going to type these words again: you deserve to be treated with dignity!!! This doesn’t just go for pregnancy either. You should always receive evidence-based, compassionate and dignified care. Your care provider works for you… so they shouldn’t work against you. Studies show that when people of size are shamed by their care provider they are more likely to gain weight and less likely to receive routine medical care. Don’t allow a bad experience with one doctor stop you from taking good care of your health by going to the doctor regularly. I have resources on my website to help people connect with size friendly care providers and I’ll do whatever I can to help make these connections. I personally know what it’s like to receive outstanding care and so I’ve made it a mission of mine to help others have the same positive experiences. I’ve found time and time again, through speaking with so many moms, that a good care provider can truly have a major impact on the outcome of your pregnancy, birth, and postpartum experience. I know this is something that people of all sizes struggle to believe and yet, if we don’t love our bodies then it’s difficult to be our own best healthcare advocate. It’s also hard for us to teach our children to love their bodies if we don’t love our own. I’m thankful that the internet isn’t all bad, and that there are many body positive and Health At Every Size® resources (including this blog you’re reading right now). Make an effort to filter your social media flow to only include positive resources and you’ll start to experience a shift in how you feel about your body. Read books like Jes Baker’s Things No One Will Tell Fat Girls (I have a guest essay in it, but this isn’t just a shameless plug because the book is awesome) and Fat!So? by Marilyn Wann. Along with filtering your social feeds and media influences, practice good self-care and pamper yourself. You’re worth it! 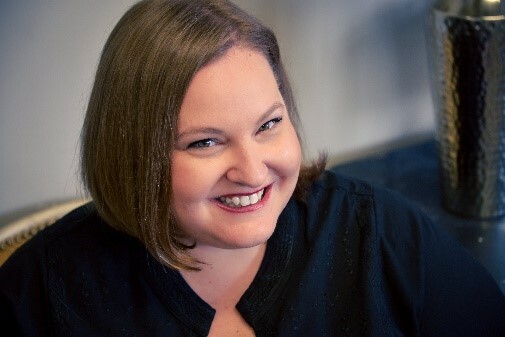 Jen McLellan is a published author and certified childbirth educator who advocates for plus size women. She promotes positive information to empower healthy decision making during pregnancy. Within her blog, Plus Size Mommy Memoirs, she helps women navigate the world of plus size pregnancy, shares tips for embracing your body, and laughs along with the adventures of motherhood. Her work has been featured in major publications such as Yahoo Shine, Huffington Post, Everyday Feminism, and International Doula. In addition she co-authored the Amazon bestseller, The Peachie Moms Guide to Body Love for Moms. Jen is also a skilled patient advocate, professional speaker, wife, and mother to a charismatic 5 year old.